4 out of 5 are amazing! 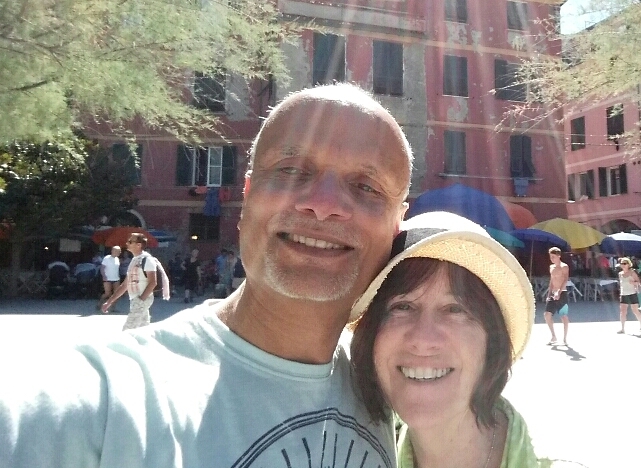 We went to Cinque Terre yesterday. It is a World Heritage listed site and has become a big tourist attraction. 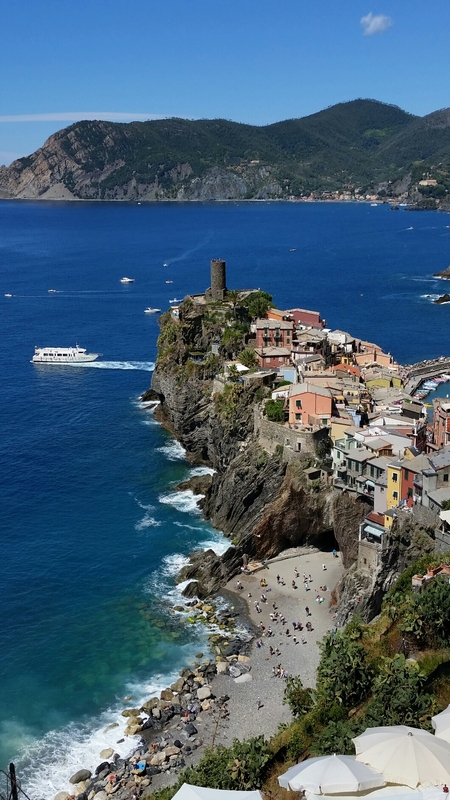 Cinque Terre is a collection of 5, once fishing, villages perched on cliffs overlooking the beautiful azure Mediterranean sea (the Italian Riviera) – we have never seen the sea look so magnificent. We started early – out of our ‘convent’ accommodation by 6.00 am. Then by train to La Spezza. Another train to Cinque Terre. 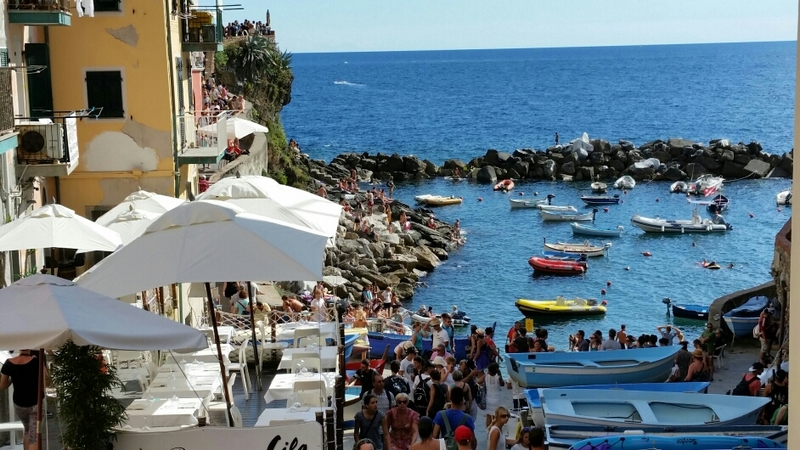 Went to the 4th village first – Vernazza, 11.15 am. Small harbour with the pastel coloured houses perched around. 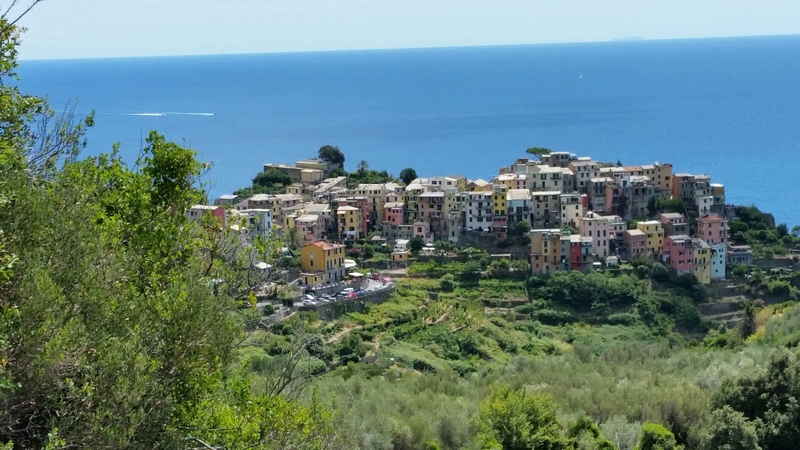 Walked to 3rd village – Corniglia. You see some spectacular views along the way. Although we were there when the light was not great, and the photos were taken with the phone (!, with little or no post processing, we’re still happy with the results. The walk was not for the faint hearted though. Around 3km but I counted 670 steps up and then the descent. It took a good hour and a half but well worth it. 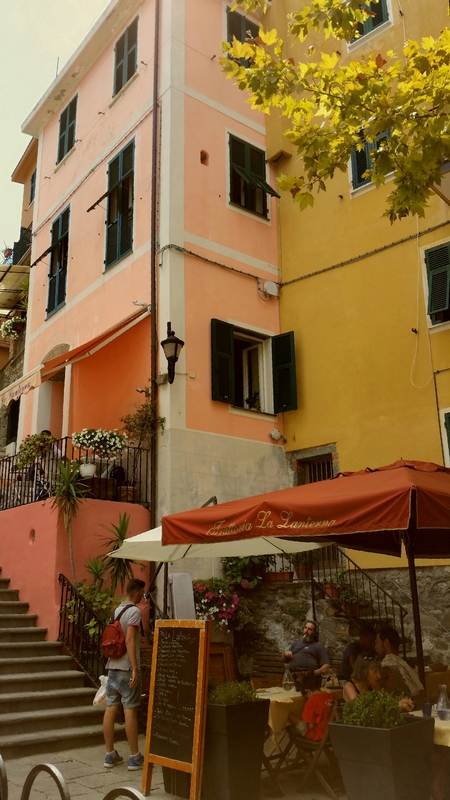 Corniglia was lovely to stop, eat, drink and generally refuel – we needed it! 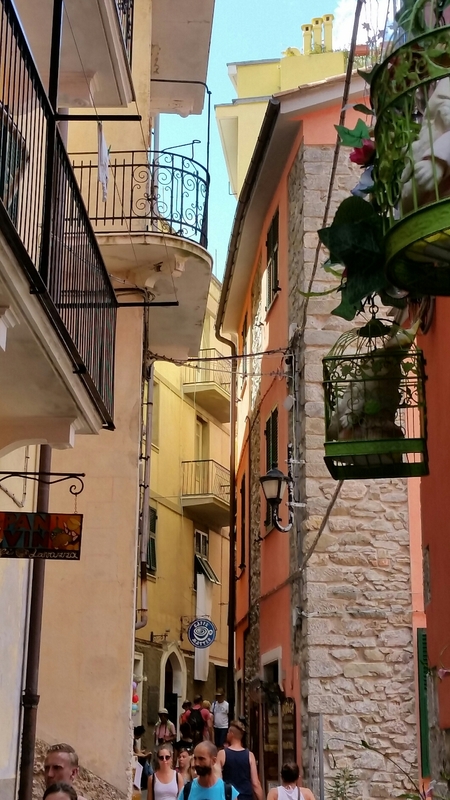 Was also lovely to explore the narrow streets, the little shops and even find gluten free pizzas and sandwiches. 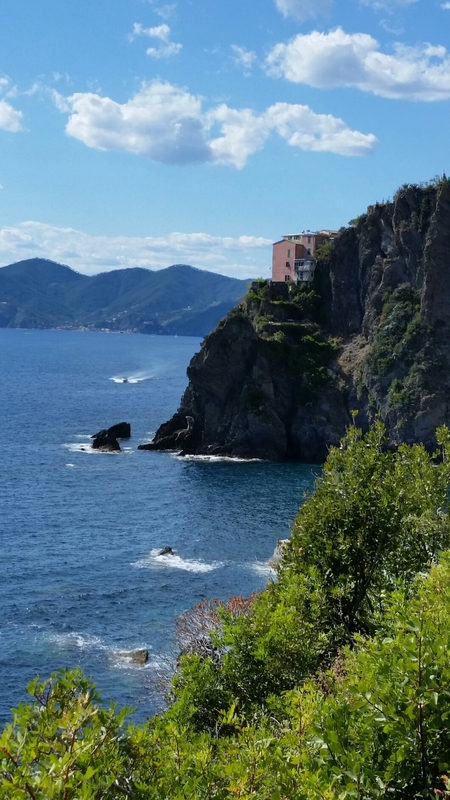 Caught the train from Corniglia to Manarola, intending to walk to Riomaggiore. But the path was closed so caught the train instead and had another drink (lemon soda) overlooking the beach/harbour. Got ‘home’ very sore and tired, after walking 21,500 steps at 9.30 pm. All good. ← Nakemiin Finland, Buongiorno Italy!